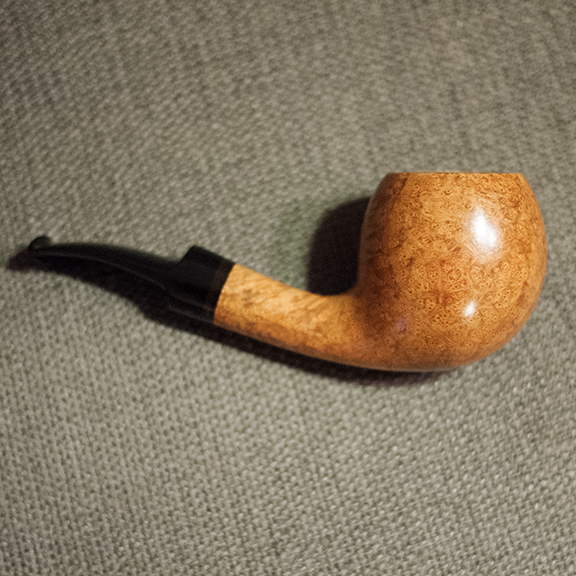 I finished my 9th pipe. I wanted to practice rounded forms and bent shapes. Acrilic ring. 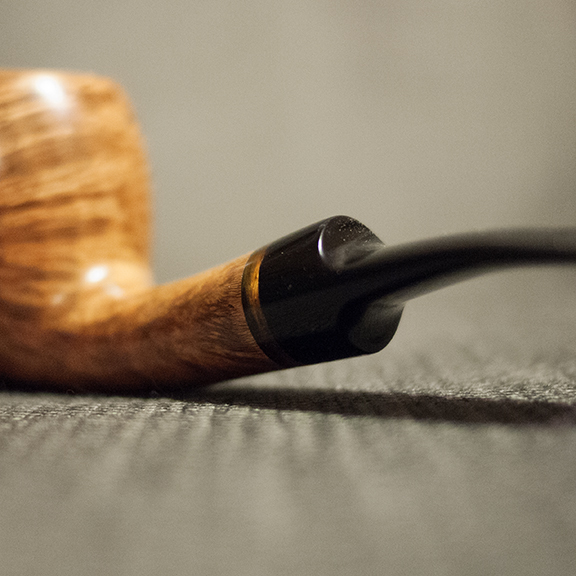 BTW, I decided to smoke the first one of my pipes. The poker i did few time ago. I’m not sure that the wood added to the shank will be resistant enough so I decided to keep it for my particular use. 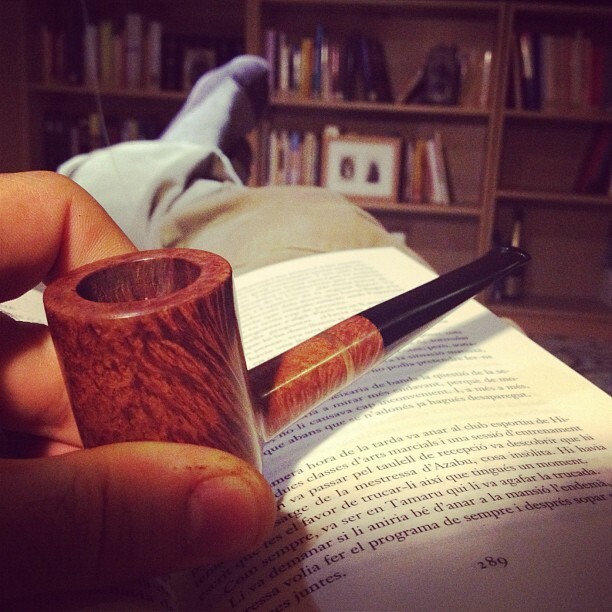 Joan smokes today: Cantó + Peter Stokkebye Luxury Bull’s Eye. 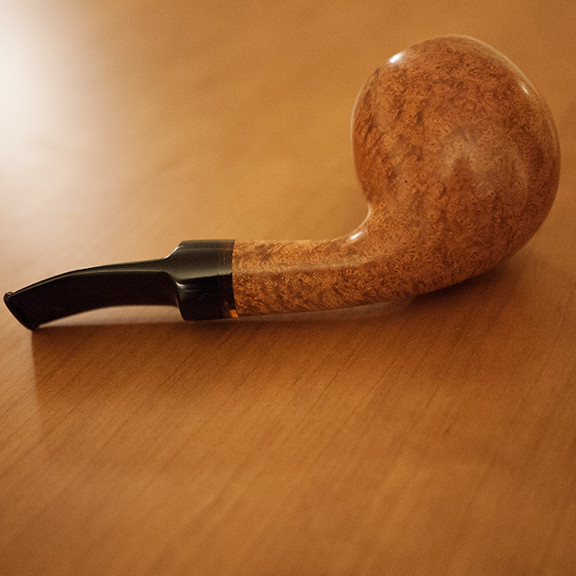 New pipe. Work in progress. Work in progress. A horn. Vaya ya vuelve el señorito agarrar la lija. Ya era hira, espero ver mas pipas por aqui. Aunque se ve poco la Poker, parece que esta bien.